The truth is, you might never be. There is no rule out there that says, “All runners must aspire to run a marathon one day”. And that’s totally OK. I know quite a few runners, who I would consider to be much better runners than me, who have never run a marathon. Running one will not make you a ‘better’ runner than someone who hasn’t gone that distance. They are completely different games. Comparing a long distance runner to a sprinter or short distance runner is like comparing oranges and apples. (Ok, I totally prefer oranges, but that’s just my personal preference). Obviously, I am a fan of the marathon distance. If you have read ‘Born to Run’, you may even believe that as Human Beings, it is our ideal distance, and our species basically evolved to run marathons. The jury is still out on that one, but it’s hard to deny that there is just something special about it. Anybody who has pulled off this amazing feat and can call themselves a ‘marathon finisher’ has most likely spent countless hours training, set many alarms for stupid o’clock in the morning, sacrificed sleep and nights out with friends, all in pursuit of a goal. It takes a special kind of person to do something like that. A (brief) little bit about my running…. I started running as my New Years resolution in 2010. Back then, I struggled to run 2km… But I did it almost daily. Back then, I was living in Vancouver, did not know any other runners, and did all my ‘training.’ by myself. My ultimate running goal was to run the 10km loop around Stanley Park. It took me until September to achieve this. …. Nothing to 10km in 9 months. Next, I moved to Whistler. I tried to keep up running over winter, which was tough with the snow. Come the following Spring, I decided to do a half marathon, because, well, another girl in the office I worked in was doing it too. I did that in July. I quit running forever about 10 times in the last 5km, telling myself I would never do this again. …. 10km to half marathon in 9 months. A few weeks later, Lee, the girl who had convinced me to do the half marathon, said she was thinking of doing a marathon. Initially I thought ‘no way you’re crazy’, but then I started to think, if she could do it, so could I. We signed up for the Victoria Marathon on Vancouver Island in October. I got a basic training plan off Marathon Rookie and followed it religiously. I finished the marathon, and the last 10km hurt like hell, but when thinking about doing another marathon, it was when, not if. … Half marathon to Marathon in 3 months. Yes, I found the jump from half marathon to the marathon a much easier jump to make than the jump from 10km to half marathon, and I did it in a much shorter period of time. 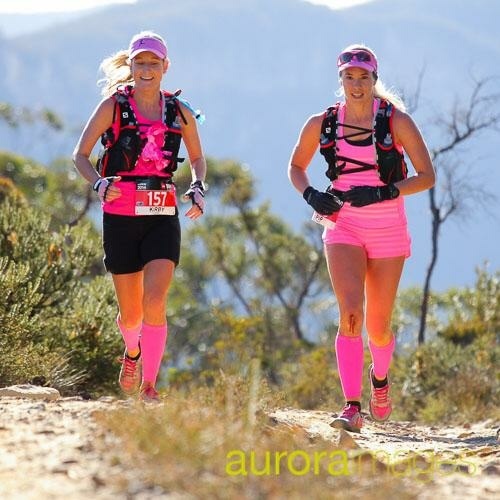 … And then I ran a 100km race with no extra training at all. That’s the question, isn’t it? This is all based on my personal experience. A lot of people run a half marathon, and while they enjoy it, they cannot possibly fathom the idea of doing it all again, back to back. But despite the simple maths one marathon is not equal to two half marathons. In fact, I would argue that if you have done a half marathon, you’re already three quarters of the way to marathon. If you look at most beginner marathon plans, ones that are written with ‘just to finish’ in mind, most have the longest run at around 32-34km. So, if you’ve done a half, you’ve basically already completed 75% of a beginner’s marathon plan. Similarly, you don’t want to arrive at the halfway point of your marathon feeling like you have just ran a half marathon. Ideally, you want to make it to halfway feeling good, and feeling like you could do it all again. In order to do that, most beginner runners will need to slow down a little. Unfortunately, increasing your distance doesn’t often go hand in hand with increasing your speed. Never underestimate the race-day atmosphere of a marathon. I think it can carry you 15-20% of the way. This is another reason why a maximum long run of around 32km is totally sufficient for a beginner marathon. Another thing that I think helped me bridge the gap between the half marathon and the marathon was having a specific, targeted training plan. Training for a marathon requires a pretty specific block of training. A half marathon… Not so much. I never really had a plan for the half. But training for a marathon requires a specific focus on making adaptations that are not really required for the shorter distances, such as developing your aerobic threshold, and increasing your muscular endurance. So get a plan. It helps. As mentioned before, in my early days of running, I used plans from Marathon Rookie. These days, I also find Hal Higdon’s plans great. He has plans for beginners through to advanced runners. If you like the idea of running a marathon but think that you can’t to it, do yourself a favour and go and watch one. Seeing the people who DO do it will inspire you. We are in the midst of a running boom. In the last decade, the number of marathon finishers has increased by 40%. Numbers in the half marathon is increasing even more rapidly, and this is being driven largely by women. As the half marathon is a perfect feeder to the marathon, I expect this will translate into a notable increase in the percentage of women competitors in the marathon in the not too distant future. 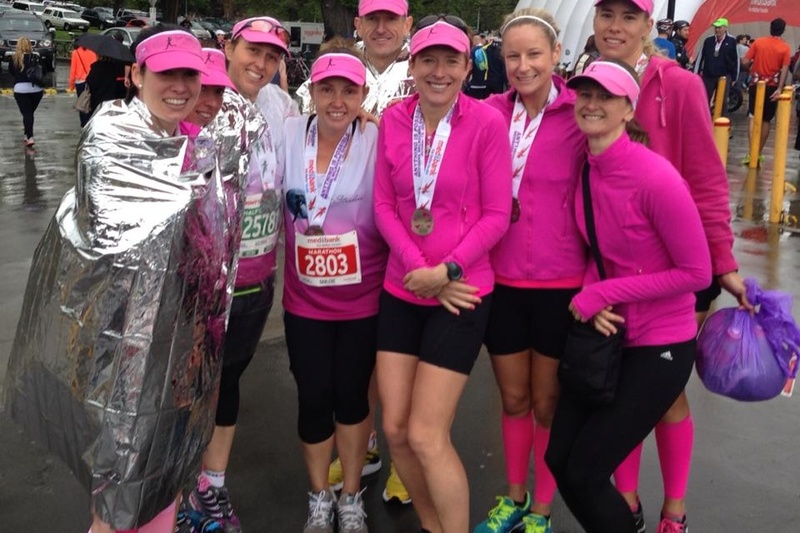 I can think of nothing better than standing on my next marathon start line surrounded by strong and dedicated women. Running a a marathon requires a very large commitment of both time and energy, but all of the hard work lies in the training. If you can nail that, then race day is easy by comparison. Think of it as your victory lap. Very inspiring Kirby. I did a 12week 10km program starting in February this year. It assumed you could already run 2km which I could do on the treadmill but struggled out on the road! Now with two 10km events done, the last being Blackmores Bridge Run, I feel ready to tackle a half marathon. I’m giving myself 12 months (Blackmores half 2015). Finally I’m starting to feel like a ‘runner’. Love reading about your journey, keep it up. Awesome work Jo! 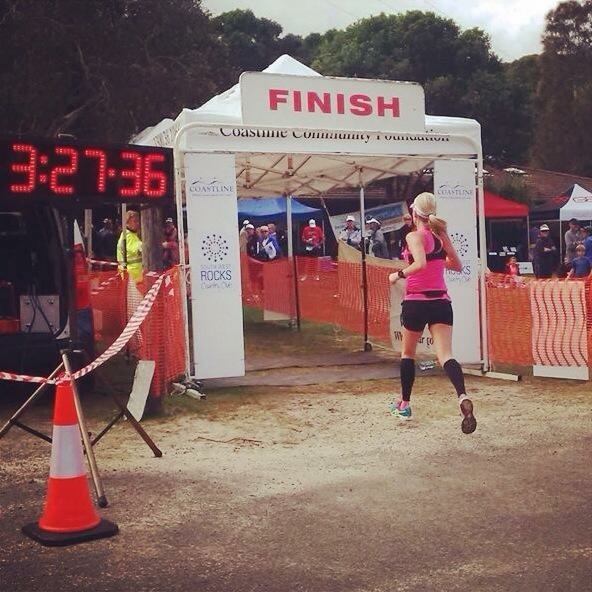 Blackmores half is a great event, I look forward to seeing you down there next year! Run Newcastle is a good local event in November too… 6km or 12km! I have just read your entire blog in two days. I cannot believe where you find the energy 🙂 I am new to running – generally about 4km, 3-4 days a week. Trying to increase distance to do the Run Newcastle (12km) in November. Hopefully I can do it! Run Newcastle is a great event, I’m sad I’ll miss out on it this year. If you are new to running and already managing 3-4km a few times a week you are already doing better than I was when I started… Well done! Read since Mudgee. Always a great read and I hope you find another mara before the OS trip. Catch you at the start of the next one – I will just have to fade into all the other empowered woman around you. Western Sydney this weekend…. Then Carcoar at this stage! Solid encouragement and tips there Kirby. Thanks for the hard work you put in when you write these articles. Definitely inspired me and gave me a shove. Reblogged this on Marathon Barbie. You may never read this but I want to put it out there anyway. Yesterday I finished my first marathon (Sydney Marathon) and part of what inspired me and kept me going with my journey was your blog. Thank you so much! Your words are powerful and I just want you to know that and how grateful I am for your blog. Never stop writing. Hi Rocky, that’s amazing, well Done! Last Sunday was a perfect day for running, I hope you had a great day, and I hope it will not be your last!